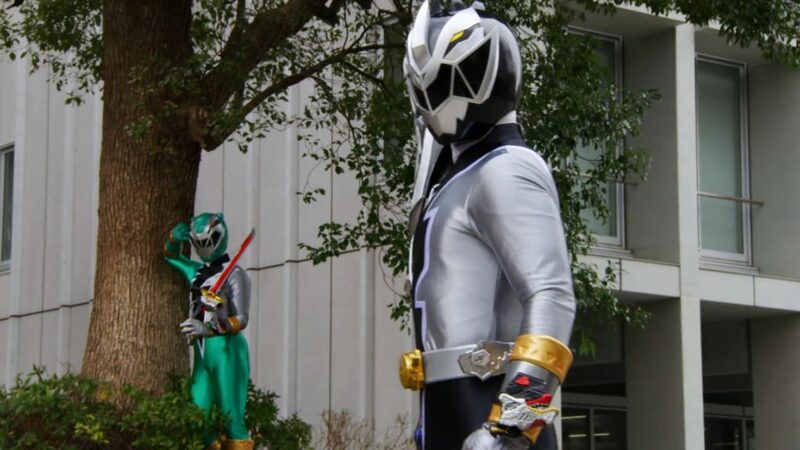 Discussion in 'Henshin Justice Unlimited' started by SamuraiEchidna, Apr 4, 2019. A knight! A knight! My kingdom for a knight! Welcome to the discussion thread for Dinoknight Sentai Ryusoulger, episode 03; "The Cursed Gaze". This week: Koh and his friends meet the other Ryusoulgers, brothers Towa and Bamba, while pursuing the Medusa Minosaur. The brothers are unimpressed with the newbie Ryusoulgers and refuse to accept them as allies, with matters worsened when Ui is revealed to be the Minosaur's host and Bamba attempts to cut her down. Man, who cast this show and what were they thinking? Red's just bad, and really can't pull off the naive, gee-whiz optimist he's supposed to be. I was willing to cut him some slack, because I thought that was only going to be a small part of the character -- I thought he was going to be cheery and kid-like until Master Red's death, and from then he was meant to turn more serious, having to grow up fast. But that's not the case, he's back to being goofy in the next couple episodes. Green's supposed to just be cocky and arrogant, but his actor turns him into a psychopath. (Look at how he's salivating at the chance to kill an *unconscious* Ui.) He should be playing one those nutty little kid nerd villains Rider likes like Mitsuzane or Brain. Black attended Joey Tribbiani's "smell the fart" class. The only ones I can tolerate are Blue and Pink, but even they can be awkward. This cast is really as awkward and terrible and out of sync as the Goseiger cast. And I really don't think Red has it in him to improve the way Gosei Red did. Sad to say that I think Crayon's growing on me though. The voice actress is having fun, and I always like Naoko Kamio, I think she's an underrated suit-actress. If she wasn't a woman, she'd probably have more roles and have a Yasuhiro Takeuchi kind of respect and following. The character's not as annoying as Luckyrou, and already shown to be more mean-spirited. Oof... I was enjoying the show so far, but for once I gotta admit, this episode was kind of lame. Those who have been comparing this show to Gingaman will probably be vilified with how people are turning into stone here (and it's still that same crappy visual effect! Is it really too expensive to make props that look line stone statues?). Besides that, we've seen this story trope before. Green and Black believe killing the host human is the only way to kill the MOTW, but they are shown a different way. (Heck, the whole thing could have been avoided if the Red, Pink, and Blue had just explained how they have giant robots now!) And I have no problem with recycling old tropes, if you can find a new or refreshing way to do it. But this episode just didn't. The only interesting things about this episode were the giant monster fight (it's great to see the different play patterns for the Kishiryu's in action), and the fact that they're still taking things slowly. This was more about Blue trying to make peace with his partner, Triken. Geen and Black were introduced, but they were the minor part of the story. And even then, this episode was so packed with side stories, they could have easily expanded on Blue's story here. There was a moment where he was considering killing Ui, he was having a hard time connecting with Triken; all of this could have been it's own episode! Also, anyone notice how Black has a serious face even in the ED sequence? He smiles for a SPLIT SECOND before quickly going back to serious face. I feel like he is way more serious than this show deserves and I kind of love it. Green's supposed to just be cocky and arrogant, but his actor turns him into a psychopath. (Look at how he's salivating at the chance to kill an *unconscious* Ui.) He should be playing one those nutty little kid nerd villains Rider likes like Mitsuzane or Brain. Yeah, my first impression of Green is that he's more villainous than the actual bad guys are, which doesn't make me want to root for him in the future. Also, they really give the impression that this is how they have previously dealt with this situation, so I guess they're actual murderers?! Yeah they act like they've been friends for ages. This would work fine in episode 30 when the show has been around for months, but in episode three it just doesn't work. ...I always like Naoko Kamio, I think she's an underrated suit-actress. If she wasn't a woman, she'd probably have more roles and have a Yasuhiro Takeuchi kind of respect and following. The character's not as annoying as Luckyrou, and already shown to be more mean-spirited. I'm not sure it's her gender so much as her height. IIRC her last ranger role was as a kid ToQger. If she was a few inches taller I bet she'd be one of the go-to female Sentai suit actors. It seems Toei don't mind when rangers grow when they transform, but shrinking is a no go.